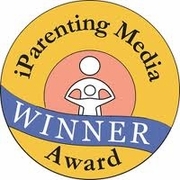 iParenting, a Disney Internet Group media property has honored several of our personalized gifts with an award. "The concept behind The World According to Me book is truly wonderful. This is a great opportunity for parents to talk to their children. As they work together to create this book, they will be creating new bonds." "The I See Me! personalized puzzle is a terrific concept for a gift for a child who has everything. Children love to see their name in print, and will be thrilled to see it on a puzzle along with their date of birth. The illustrations are vivid and captivating and the interchangeable pieces used for the bottom portion of the puzzle help to decrease frustration with puzzle completion." "The most positive characteristic of this book is that it is personalized for your child and will make him or her feel extremely special. Each child loves to have their book made just for them. What an incredible feeling. The pictures are very well illustrated, the rhymes are great and you actually learn something new about each animal that introduces the letter of the alphabet. What a fabulous well-made book. Also, the packaging that it came in was very impressive. It is already "gift-wrapped" and has its own cause as a book jacket. It is a visually eye-catching product that is well-made and will stand up to years of use." "The positive characteristics of the My Very Own Name book are the use of bright colors and well known animals for the children to name. I was impressed by how the personal information was printed into the book. The children also liked how the story rhymed. The quality of how the personal information is printed into the story is the best I've ever seen. I am planning to purchase one for my grandchild when he or she is born in September."